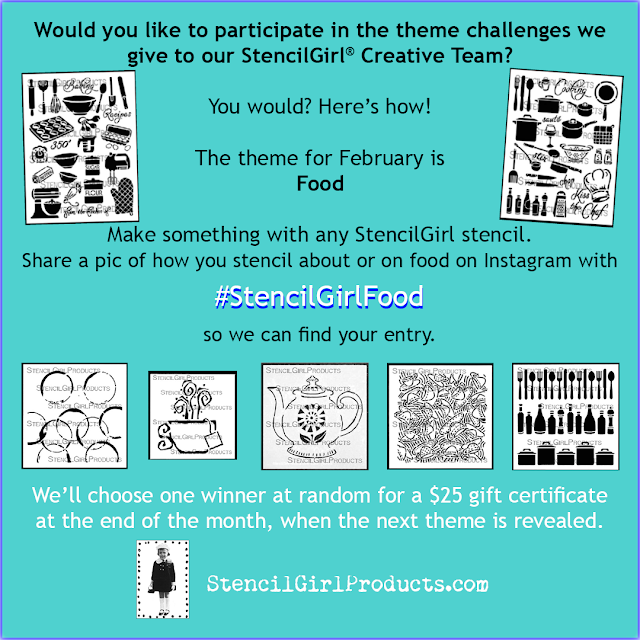 StencilGirl Talk: Stencil on Food: Calories take flight! 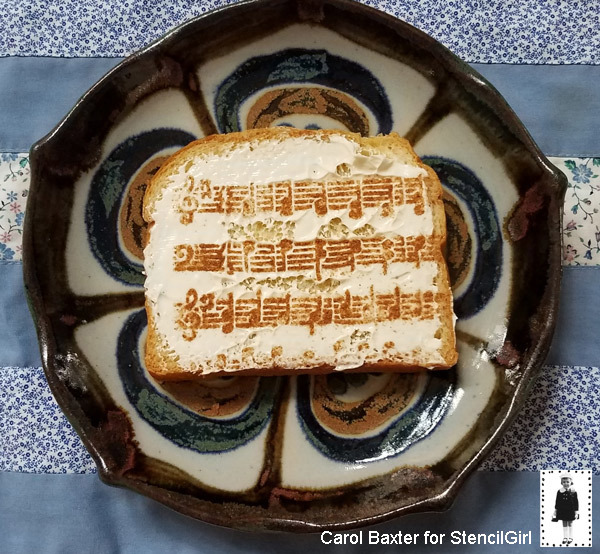 Stencil on Food: Calories take flight! Calories take flight when you use stencils on food, right? I mean, I had to burn calories grocery shopping, spreading cream cheese on the crackers, stenciling with spice, adding a smidge of raspberry chipotle sauce and an herb garnish, and writing this post. 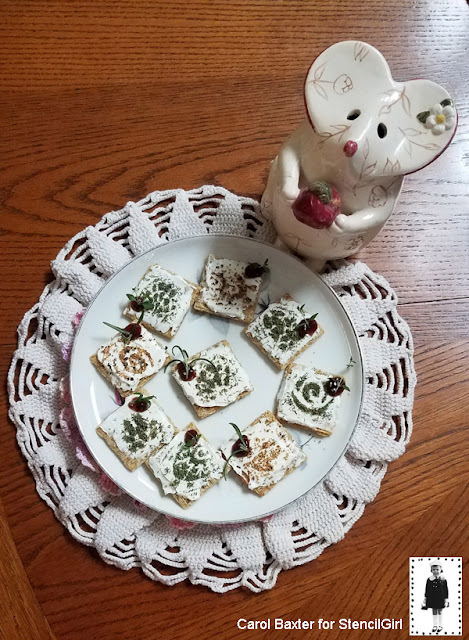 When your bestie calls and says she is coming over, here's an easy-peasy way to dress up some cracker appetizers for an impromptu appetizer. Note: Wash your stencil before and after each use. If you are going to use a stencil for cooking, it should NEVER be used for regular painting with acrylics, watercolors, etc. 1. 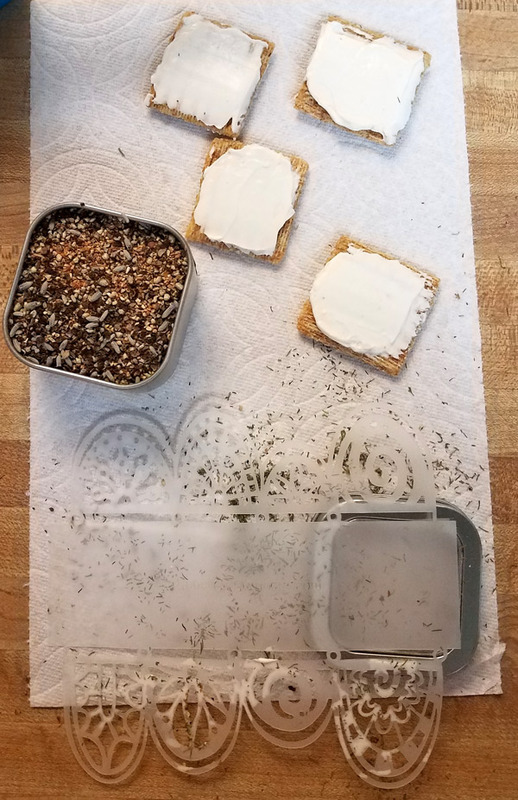 Spread (relatively level) whipped cream cheese on the crackers of your choice. I like Triskets. 2. Gently place the stencil atop the cracker. Tip: Because the stencil is larger than the cracker, I found it helped if a had the lid from the spice container under the unused part of the stencil. 3. Sprinkle your herb of choice. I tried dill (worked best) and lavender lemon pepper. Tip: Small pinch and then add some if need be - I found that if I went slow, the first pinch was often plenty. 4. Slowly lift the stencil off, keeping it as level as you can. You may need to hold the cracker down* with your other hand as you perform this step. 5. 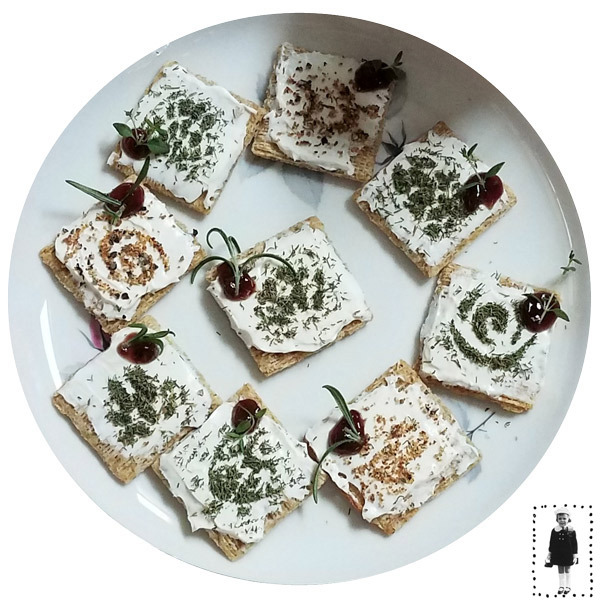 Garnish cracker with a drop of sauce and a little sprig of whatever herb you have handy. I had thyme and rosemary growing and I used red raspberry chipotle sauce. I tried making cinnamon sugar toast - the shape melts into the butter too quickly. Which made me think of the irony of the commercials that want us to use cream cheese because it is half the calories of butter... does that mean one can/should use twice as much cream cheese? 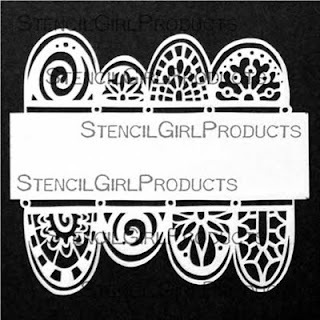 I hope you enjoy experimenting with your stencils as much as I do! 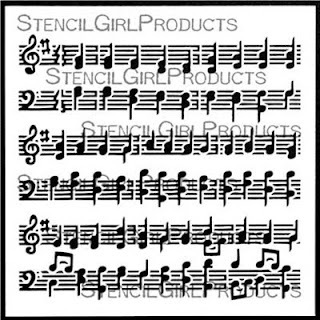 Great way to expand the use of stencils!